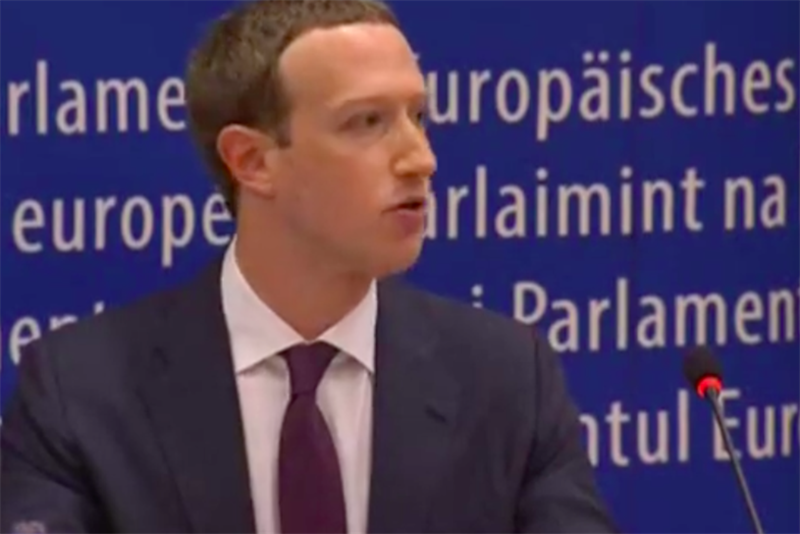 While the questions the European Parliament put to Facebook chief executive Mark Zuckerberg were on the whole substantially more incisive than the ones asked by the US congress, the event's strange format undermined its effectiveness. The European Parliamentary members posed questions to Zuckerberg all at once, and had him respond only after all the members had voiced their questions rather than have him reply to each question as it was asked. Later, an MEP complained that this format had been requested by Zuckerberg and the European Parliament had acquiesced. However, a statement from Facebook and from European Parliament president Antonio Tajani has later clarified that the parliament offered this format to Zuckerberg and he accepted it. "Did you personally make the decision in 2015 to not notify your users? ", - German MEP Manfred Weber. Unfortunately, due to the format of the event which allowed Zuckerberg to pick, choose and conflate the questions put to him, none of these queries were addressed specifically. Instead, Zuckerberg was able chose general topics to address and run down the clock. Topics that he chose to address included bullying, fake accounts, a reiteration of the security measures Facebook claims it had put in place in 2014 and a promise to do better. Philippe Lamberts, a Belgian Green MEP pointed this out, stating that not a single one of his six questions spanning targeted advertising and taxes had been addressed. Kamall too tried to get a direct answer to his question about shadow profiles, but only received a reiteration of Facebook's plan to introduce a "clear history" button, a feature that is unlikely to serve non-Facebook users. Unfortunately, at this point, Zuckerberg pointed out that the meeting had run 15 minutes overtime and he would not be answering any more questions. The Members of the European Parliament then pressed Zuckerberg to respond in writing to the questions that went unanswered, something the Facebook team promised to do. Dark analytics: it's legal, but is it ethical?